I have been studying the evolution and development of floral traits that are important in attracting animal pollinators in the Botanic Garden for over a decade and am the Group Leader of the Plant Evolution and Development Research Group. By understanding how plants build traits that attract particular animals we aim to understand the diversification of the flowering plants. We are particularly interested in the coevolution of flowers and animal pollinators. To explore this we use three different approaches. Firstly, we use molecular genetic analyses to understand how key floral traits develop and how their final morphology is controlled. Secondly, we use the techniques of behavioural ecology to explore how floral traits influence pollinator behaviour and plant reproductive success. In addition to our main molecular genetic lab we also have a bee behavioural facility, set up in collaboration with Professor Lars Chittka at QMUL. Thirdly, we combine what we’ve learned of “how” traits are built and of “why” they are there with an understanding of plant relationships to explore the evolution of developmental programmes controlling floral traits. We have explored a range of different floral traits over the last few years, but at the moment we are particularly interested in petal characters such as colour, texture and insect-mimicking spots, as well as in structural features such as nectar spurs and anther cones. We have a major focus on understanding the role of petal microscale and nanosclae structures to produce different optical effects, including floral iridescence. This work is important because the enormous species diversity of the flowering plants can be attributed, at least in part, to the reproductive isolation resulting from the recruitment of animals as pollen vectors. To understand angiosperm species diversity, then, we need to understand flowers and their interactions with animal pollinators. This understanding also underpins research into security of animal-pollinated food crops. 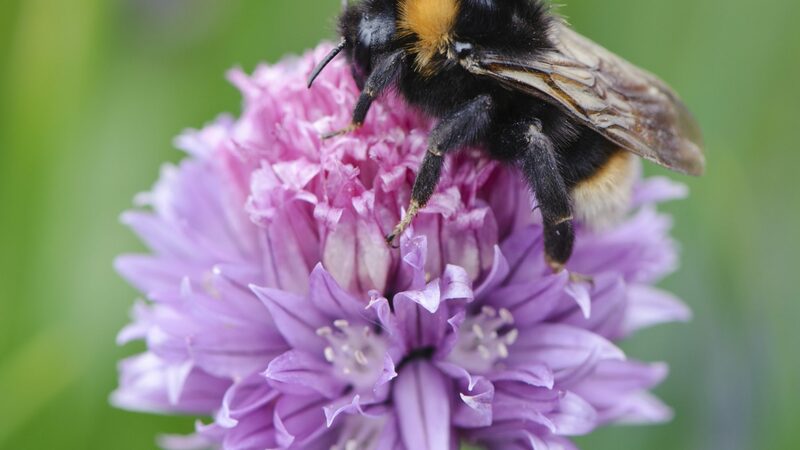 By defining how pollinators interact with flowers and how the developmental programmes that produce attractive flowers evolve we have the opportunity to support plant breeders in their efforts to optimize yields of key crops. The Botanic Garden has been an invaluable resource for all this work, long before I took up post as Director, providing outdoor research areas, horticultural expertise, and access to a superb collection of different species. Perhaps most importantly, though, the Garden has also provided the inspiration that we find just from watching the flowers and insects getting on with their daily lives.